Why is it beautiful? 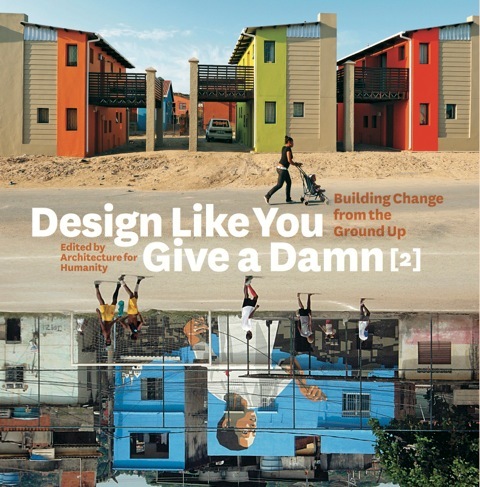 With their second book, Design Like You Give a Damn , Architecture for Humanity has compiled over 100 projects showing architecture as a driver of change and economic re-invigoration. The book itself has a satisfying, if compact, heft to it that is complimented by what’s inside – good design sense. The user-friendly, picture-intensive layout makes the information accessible and interesting. Why is it useful? The book is beefed up by a section written by co-founder Cameron Sinclair on lessons learned – everything from working on economic development in post-disaster contexts to transforming long-term rebuilding centers into local economic development corporations – that adds up to a raison d’etre for Architecture for Humanity. Kate Stohr, also co-founder, contributes what is essentially a primer for community groups, architects and others seeking to finance their initiatives in the Financing Sustainable Community Development section. Why is it green? Design Like You Give a Damn  urges readers to give a damn: to care, to get involved, and to take positive action. The Wall Street Journal calls it, “Architecture with a cause.” The book provides compelling examples – our McKinley School install included – and tools for environmentally-friendly, culturally-specific solutions.